Is Bart Simpson an agent of oppression? He is to the legions of Chinese slave laborers, forced to churn out cheap licensed merchandise in work camps. Such involuntary servitude is one of China’s greatest competitive advantages in the global marketplace. 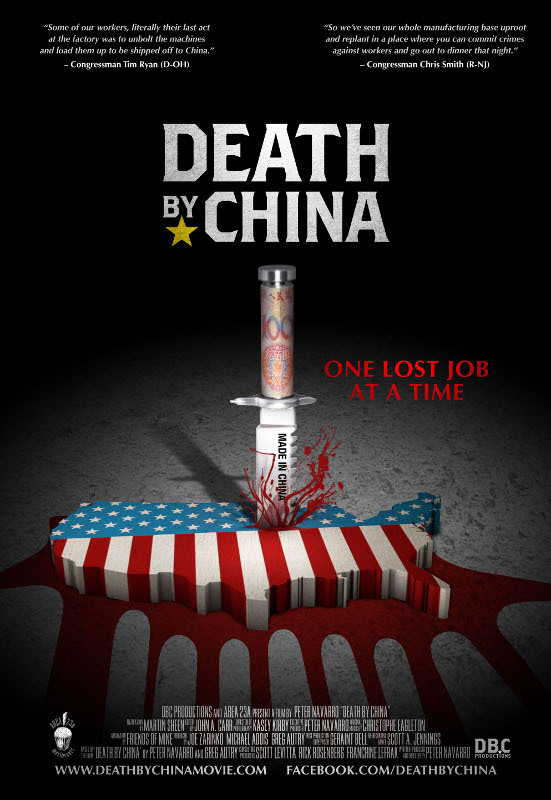 Peter Navarro ominously warns America about the dangers of Chinese economic hegemony in the alarmist yet still highly alarming documentary, Death by China (trailer here), which opens this Friday in New York. To Navarro’s credit, DBC repeatedly distinguishes between the decent hardworking Chinese people and their oppressive Communistic government, often reminding viewers the former is the greatest victim of the latter. To this end, they enlist no less an authority than former dissident and Chinese Gulag inmate Harry Wu. Any film featuring Wu is worth our attention. While DBC raises some salient human rights issues, its primary message is one of economic protectionism. Adapting his book of the same title for the screen, Navarro blames China’s predatory export subsidies for the drastic outsourcing of the American manufacturing base. We hear this echoed by several union leaders, whose rigid contracts and outright featherbedding have spurred the very outsourcing they bemoan. 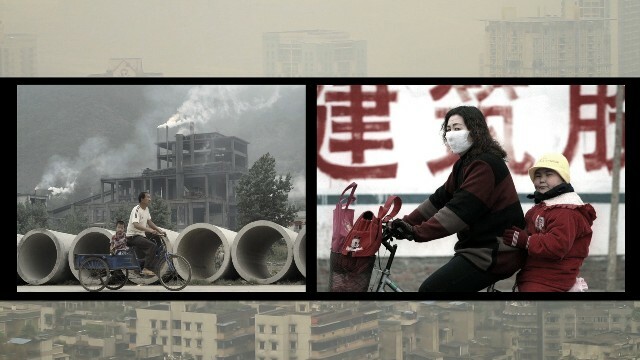 Nonetheless, the film is on solid ground when it discusses the lack of environmental protection and consumer product safety regulation in China. Indeed, many innocent Chinese citizens are living with the toxic pollution released from the production of export-goods toxic to American end-consumers. It also makes a strong national security argument when it points out how much of our technologically advanced weaponry is assembled with parts made in China. In fact, given what we know or suspect about the Stuxnet virus, the film might actually underplay this line of inquiry. You know DBC is well researched when it sites an article published in The Epoch Times. Shrewdly, it also maintains a legitimately bipartisan spirit, equally blaming Clinton and a Republican congress for supporting China’s entry into the WTO (the original sin in Navarro’s judgment) and featuring interview segments with members of both parties, including longtime human rights champion Rep. Chris Smith (R-NJ). Given his ideological baggage though, the choice of Martin Sheen as narrator might drive away some that might otherwise be receptive to its message. However, the greatest problem with the film is the wildly over the top interstitial animation. The bleeding American flags will just make it too easy for my snooty colleagues to dismiss the film wholesale. In fact, DBC is not nearly as simplistic as those transitional graphics might suggest. Whether or not you accept the pseudo-protectionist premise, the sheer volume of American debt held by China is a problem the current administration has done its best to ignore. Recommended for its human rights content and for simply challenging our national policy of China denial during an election year, the earnest but sometime overheated Death By China opens this Friday (8/24) in New York at the Quad Cinema.